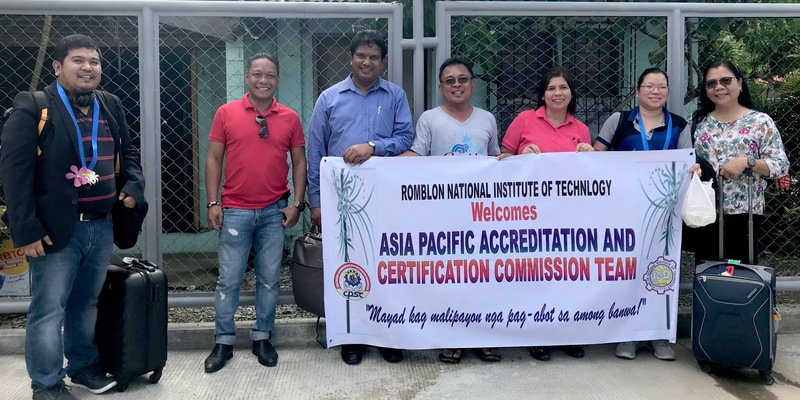 The Romblon National Institute of Technology (RNIT), formerly known as the Alcantara National Trade School (ANTS), underwent a third cycle of accreditation with the on-site visit of the APACC team to its premises from July 9-10, 2018. The activity was embarked with the hopes of RNIT renewing its APACC accreditation, a status it held from 2012 until 2014. The APACC team is composed of the Team Leader and CPSC Faculty Specialist, Ms. Therese Tan-Lee; APACC Team Member and CPSC Faculty Consultant, Dr. Chithral Ambawatte and APACC staff and Research, Publications and Information Officer, Mr. Rae Emmanuel Echaveria. They were warmly welcomed by the RNIT faculty and staff led by their vocational school administrator, Engr. Israfel L Manqui. In his opening speech, Engr. Manqui motivated the RNIT faculty and staff to “regain the lost glory” of the institution and gear it up to international expectations through subjecting their processes to the audit and scrutiny of APACC. In response, the APACC Team Leader, Ms. Lee, reaffirmed APACC’s commitment to assist in the development of VET institutions in the region through the implementation of quality assurance process in its systems and operations. 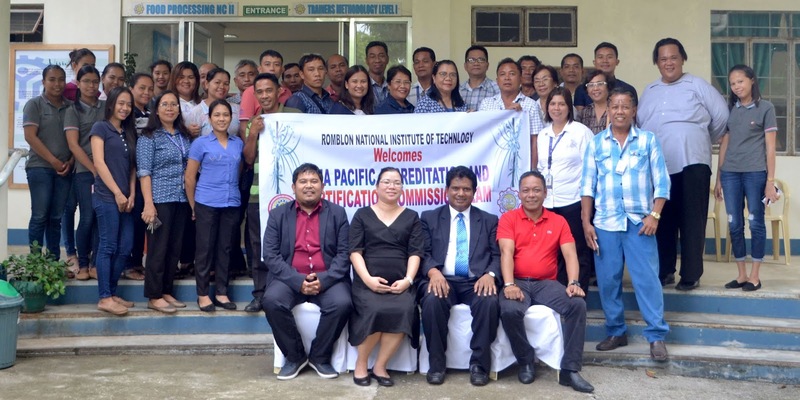 During the two-day activity, RNIT was audited based on the seven components of APACC namely: (1) Governance and Management, (2) Teaching and Learning, (3) Human Resources, (4) Research and Development, (5) Image and Sustainability, (6) Other Resources and (7) Support to Students. 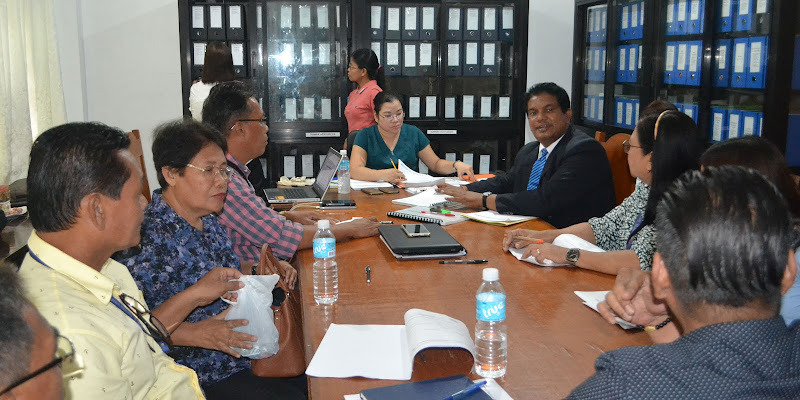 During this process, an extensive review of their documents and evidences were examined by the APACC team to validate the scores that they indicated in their self-study report. RNIT is an autonomous Vocational Training School located in Brgy. Poblacion, Municipality of Alcantara, Province of Romblon, Philippines. It was created under the provisions of the Republic Act 4581 which was approved on June 19, 1965. On May 23, 2016, the Republic Act 108491 was enforced, changing its former name to the present.